Aziz teaches economics for Master of Public Policy Programme. 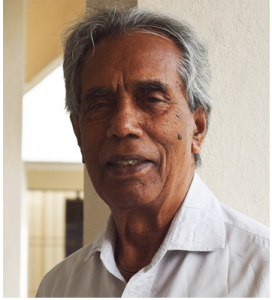 He worked at the Institute for Social and Economic Change (ISEC), Bangalore from where he retired. He has produced 15 Ph.D’s, published many research papers in professional journals and 27 research-based books. He has been a member of several Karnataka Government Expert Committees from time to time, a consultant to International Agencies and held D. M. Nanjundappa Chair Professorship in CMDR, Dharwar. His areas of interest are Labour Economics, Macro-economic Policy, Decentralized Governance and Planning, and Development of Weaker Sections and Backward Regions.